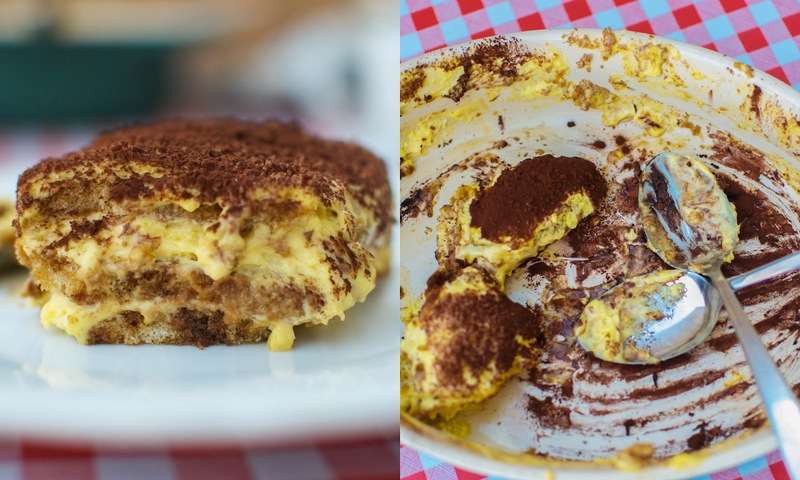 This is one recipe worth recreating, a rich & creamy classic, tiramisu! I am not a big fan of Tiramisu in the States, it can be a boozy, mushy mess and nothing I would ever want to order. So when I was given a heaping plate for dessert at a friends house when we first arrived, I was a little nervous about how I was going to finish it all to be polite- well it didn't seem to be a problem at all because it was lick-your-plate amazing! So what's the difference in the dish served at restaurants State-side vs. that of Italy? First off the eggs - this recipe calls for fresh egg yolks not whipped cream or imitation eggs making it much richer and secondly it's all in the lady-fingers! When Jason first asked for a lady-finger recipe to make this dish, our friend Daniella balked - "No, why would you do that? You buy Pavisini." And she was right! They perfectly hold up after being soaked in coffee & layered with cream. 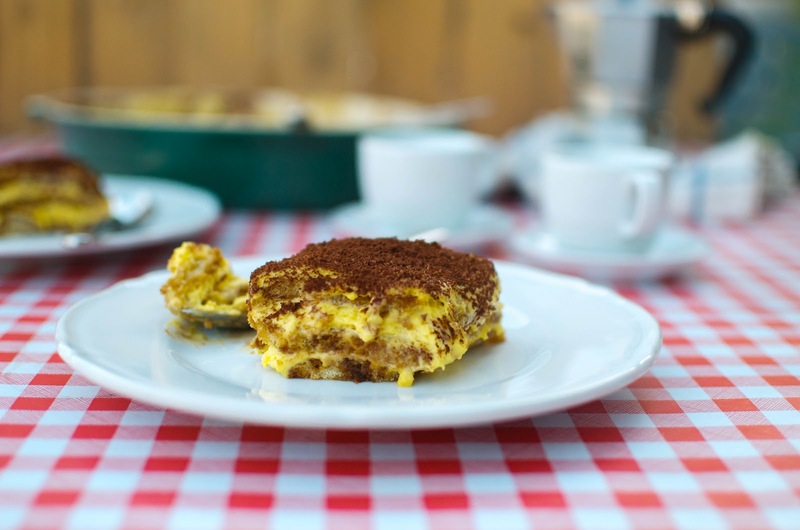 Tiramisu literally translates to "pick me up" and it sure does with all the coffee, eggs & sugar. Great for dessert and devilishly delicious for breakfast, what with coffee & eggs, why not?! We serve this every Thursday at our Pizza Night Parties and if there is any left-over for breakfast the next morning! (Not to mention it's one of the only dessert I make, so if I can do it - anyone can! Make your pot of coffee & let cool. Beat the egg yolks with the sugar in a bowl until light, pale & "ribbons." Then mix in the mascarpone. 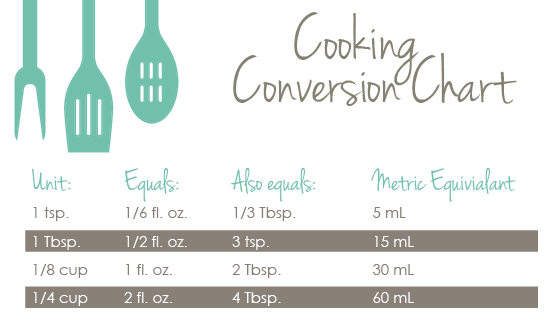 Stiffly whisk the egg whites in a different grease-free bowl. Gently fold in the egg whites in thirds to the mascarpone mix. Make a single layer of ladyfingers on the base of a deep serving dish making sure they fit tightly together on the bottom. Then brush the lady fingers evenly with coffee (don't be shy, a good two passes with the brush should be plenty). Make a nice even layer of the mascarpone cream/egg mixture and sprinkle/cover with grated chocolate. Continue making layers until all the ingredients are used (you should have 3 layers), finishing with a layer of mascarpone cream/egg mixture. Dust with cocoa, wrap with plastic and chill in the fridge for about 3 hours. Enjoy!! 1. Make sure your egg whites are stiff enough that you can turn the bowl upside & they don't move! 2. Booze it up - add your favorite Bailey's, Nocino, Kahlua - any coffee complimentary liqueur will go nicely in this, add it into the coffee after cooled. 3. 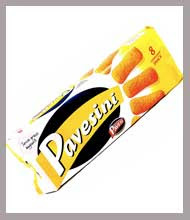 It's all in the ladyfingers- we use Pavesini - they are hard to find in the States but its worth a try. These ladyfingers give it the perfect texture & really soak up the coffee.